The Papo Tupuxuara measures approximately 2.5 inches tall and it's wingspan is 2.5 inches. 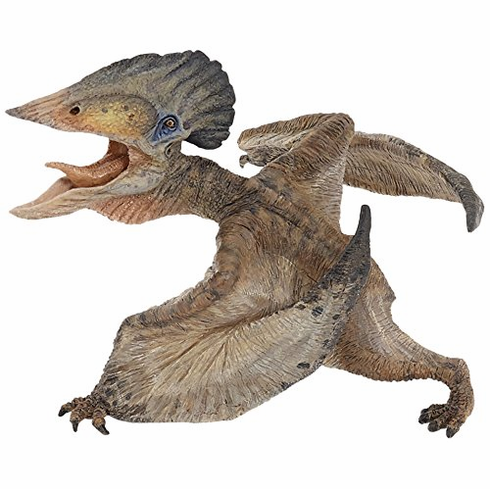 Tupusuara means "long crested" and was a crested, toothless pterodactyloid pterosaur. The Papo Tupuxuara #55038 is part of the Dinosaur Series by Papo.